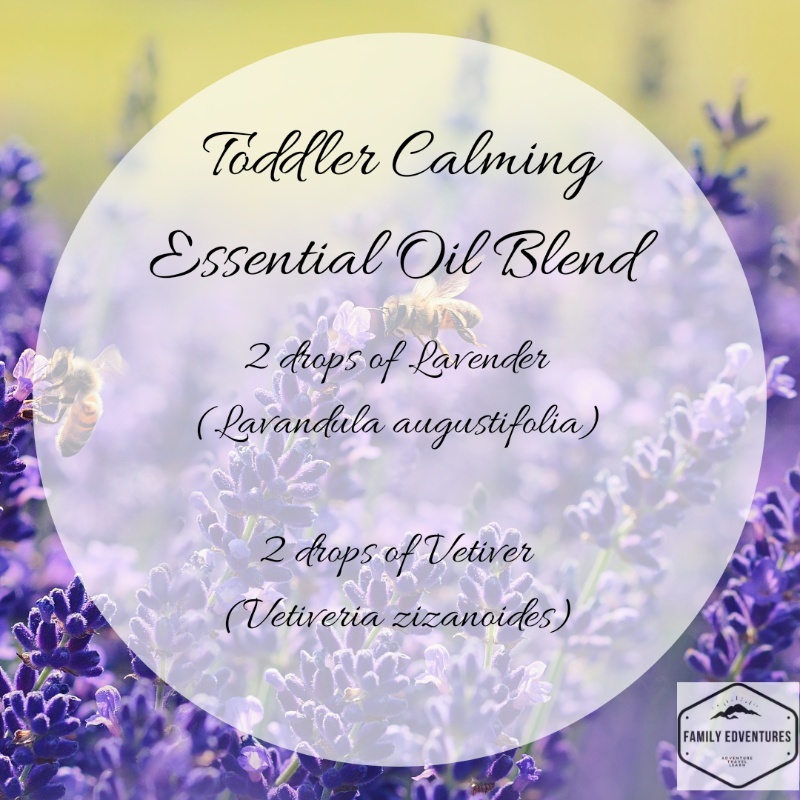 How we use essential oils to calm toddlers. 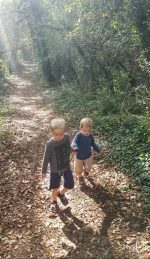 I’m not sure that I’d ever describe life with toddlers as calm…they’re enthusiastic, excitable balls of energy just waiting to explore everything! 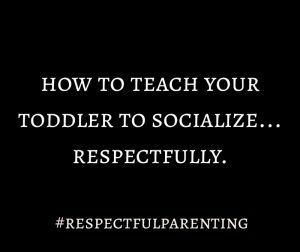 Their enthusiasm can be pretty exhausting for us parents but toddlers themselves sometimes need a little help to calm down too. 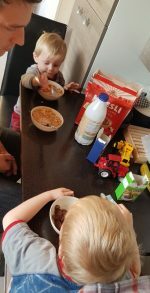 As parents, we help to guide our little ones to find healthy strategies to relax their minds and bodies, whether they’ve been running around excitedly at a birthday party, got over-tired after a long day out or simply need help to relax as part of their bedtime routine. We use a number of toddler calming strategies depending on what’s going on at the time. 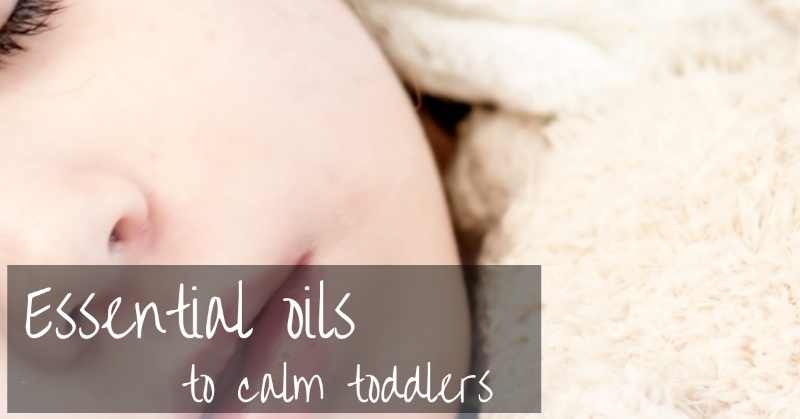 We’ve found that using essential oils to calm toddlers is simple and effective. 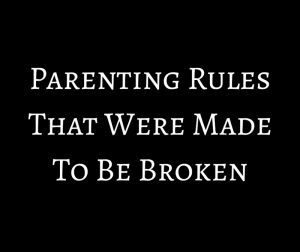 We also love it because it helps to relax us parents too…and we all need a little more of that! You know how a certain smell can trigger a vivid memory? That’s because the scent enters the nose and travels down the cranial nerve through the olfactory bulb which helps the brain to process the scent. It’s part of our limbic system which is often nicknamed our “emotional brain” due to the role it plays in controlling our emotions. 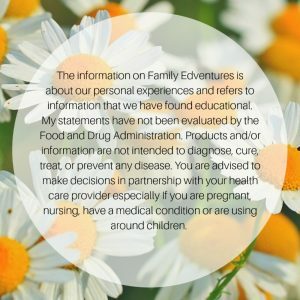 How does all this relate to using essential oils? Essential oils have therapeutic properties so, for example, they can help us to calm ourselves or give us a stimulating boost. When we inhale an essential oil molecule it travels through the nasal passage up to the limbic brain. Some of our bodies most important functions are regulated from here (e.g breathing and heart rate). Which is why smelling a therapeutically calming essential oil will trigger a neurochemical response which tells our body to relax. In addition to these neurochemical responses essential oils can also establish emotional responses. So, if something is calming or exciting the scents that are present at that time will help to form the neuro-pathways of the brain. This means that if you routinely massage your baby or toddler while lavender oil diffuses gently in the room then each time he or she smells lavender, those memories will return and they’ll feel calmer. 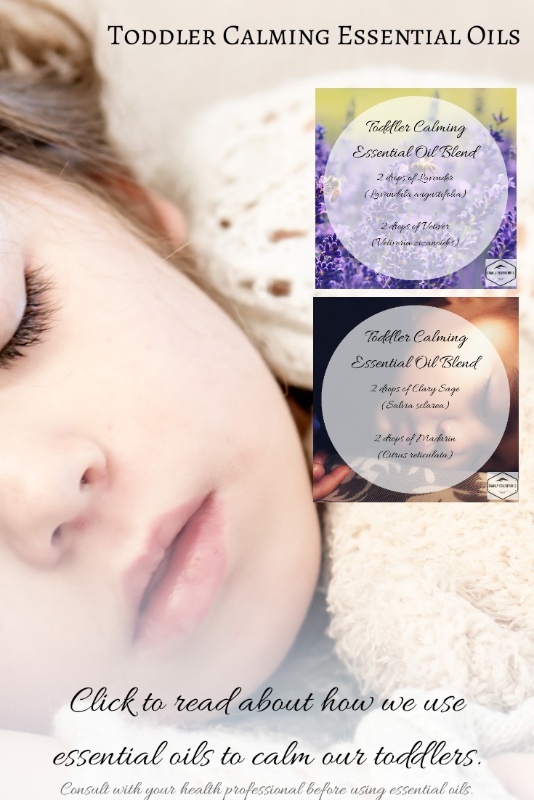 Many studies have investigated the calming effects of essential oils on both adults and children. Robert Tisserand also undertook a study which identified lavender, marjoram, geranium, mandarin and cardamom as being effective in calming and inducing sleep. Another study looked at children who had been diagnosed as having ADHD but who did not take medication. They were treated with either vetiver, cedarwood or lavender essential oils. Vetiver was found to have the biggest impact on the child’s behaviour. If our toddlers are bouncing off the walls because they’ve been stuck at a doctor’s appointment all morning then we might put on some music and dance and jump around for a while or better yet, we’ll play outside. However, if the ‘bouncing off the walls’ behaviour was caused by a giant bouncy castle full of lots of other toddlers then we’re most likely going to respond differently. 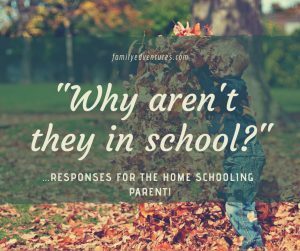 We’ll usually get them home, put on our essential oil diffuser and do something quiet to like reading a book or doing a jigsaw. We tend to do this before attempting anything else. The priority is getting everyone relaxed and calm before tackling anything else like getting changed or sorting dinner. We use our ultrasonic diffuser regularly as we’ve found it to be a safe and easy way of exposing our infants to the benefits of essential oils. You’ll need to reduce the amount of essential oil that you add to your diffuser when children are present. There are also oils that you should avoid using around children. We’ve written a full post about using essential oils around babies and children it includes dilution advice. You can view it here and download a printable baby-safe oils guide. You can find out about different types of diffusers here. It is possible to add essential oils to bath water but it’s not as simple as it sounds. NEVER add essential oils directly to bath water. They are not water-soluble so will just form a layer on top. Similarly adding to milk or bath salts first isn’t advisable either as they will separate on contact with the water. You’ll find a list of emulsifiers that you can add the essential oils to in this post. One of their suggestions is to add them to a liquid that foams like bubble bath. If you’re considering an essential oil bath then please have a read of this first. 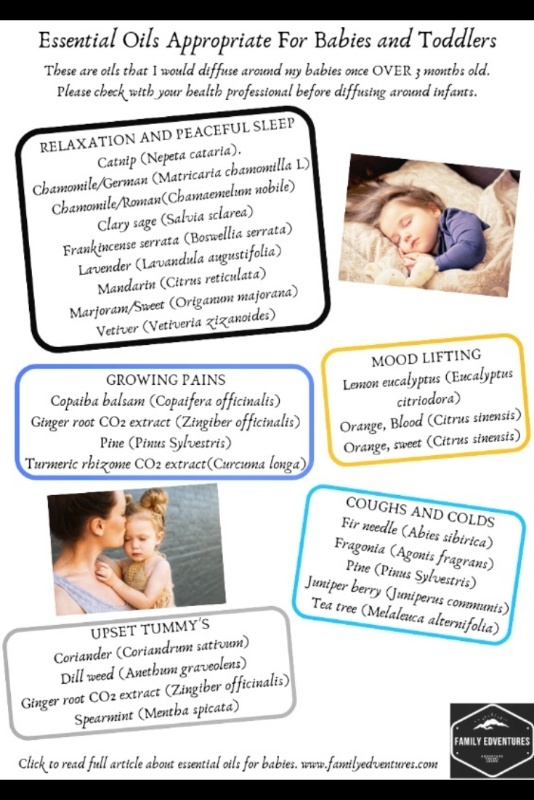 Here are a few essential oils that we’ve used around our toddlers when they need to calm down. Pin to find this again. You should consult with your health professional before using oils. It’s important to introduce essential oils one at a time but you may like to try some blends when you’ve been using oils a while. This blend by Plant Therapy sounds lovely although I’ve never used it myself. The Kid Safe range is designed for children over 2 years old. This blends contains Citrus Nobilis (Mandarin Orange) Peel Oil, Citrus Reticulata (Tangerine) Peel Oil, Lavandula Angustifolia (Lavender) Oil, Anthemis Nobilis Flower Oil). 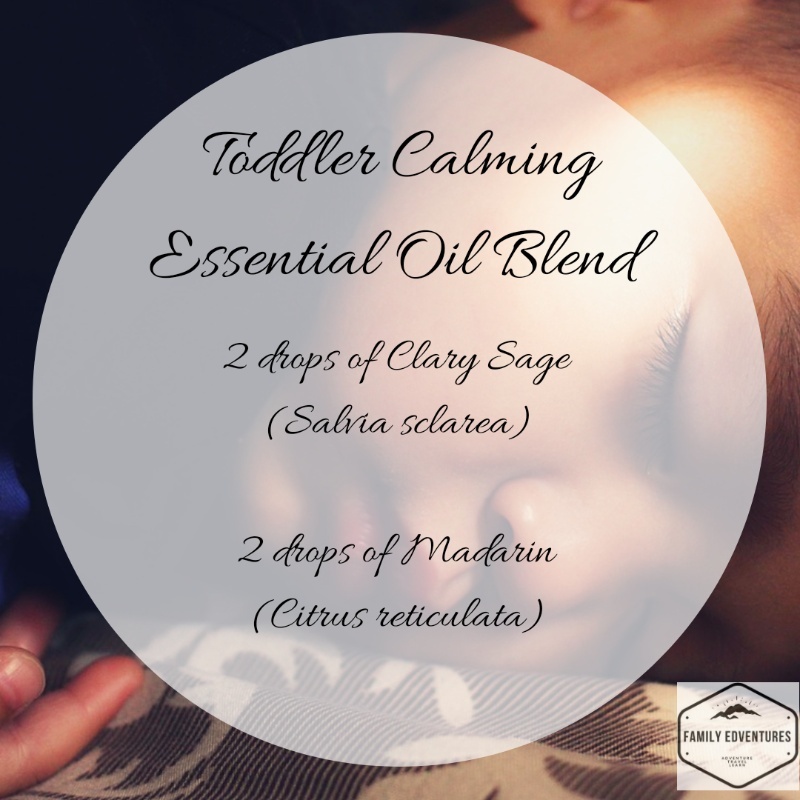 Do you love to use essential oils to calm toddlers?